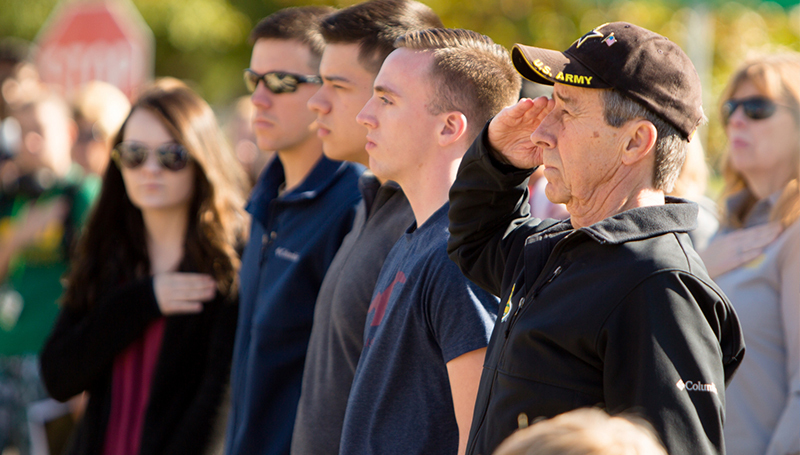 Please join us in honoring all veterans during the Veteran’s Day Ceremony this Friday at 11:30 a.m. on the Oval at the U.S. Flag. The guest speaker is Lt. Col. Michael Brown with the Army National Guard. This event is open to the public, so you are welcomed to invite family members and friends who have served in the military.